Anyone with even faint knowledge of the Native American culture knows how deeply their society was stooped in symbolism. There were numerous symbols that the Native Americans considered to be sacred. The various symbols that were to be found in the Native American culture varied with regards to how sacred they were held. Some of the most important Native American Sacred Symbols are discussed below. The Eagle is perhaps the most highly revered sacred symbol in Native American culture. As a bird the eagle is known to be the highest flier amongst all others and therefore has a different perspective of the earth. The Natives linked that to the perspective of the Creator who watches the creation from up above. Hence the Eagle became a symbol for the all encompassing divine spirit. The eagle is also taken as a symbol of power, truth and freedom as it soars in the sky. The spread out wings of the eagle represent the balance that exists between males and females. It goes to show the interdependency between man and woman. The Natives assigned the eagle with the task of carrying the prayers of men from the physical world to the spiritual world. It was also a custom amongst the Natives to hold up the feather when one was required to speak the truth. No one could think of lying with the eagle feather in hand. When someone is gifted with an eagle feather it is considered to be the highest honor. The feathers of the eagle were considered to be so sacred that a woman was not allowed to touch them when she was going through her menstrual periods. It was not allowed to place eagle feathers in drawers or cupboards rather it should be held up in honor. 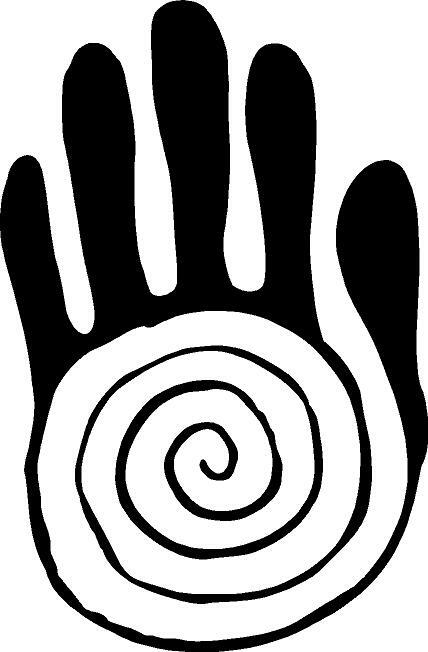 This is another special sacred symbol popularly found in the Native American culture. This was actually a legendary creature attributed with supernatural power and strength. The Native Americans would have the thunderbird as a popular theme in their artwork, music and oral history as well. Thunderbird tracks were taken as a symbol of bright prospects. The arrow was another popular sacred symbol used amongst the Native Indians. The arrow was depicted in many different forms to signify different things. For example the arrow pointing to the right meant protection. When pointing to the left it meant warding off evil. A broken arrow symbolized peace whereas crossed arrows were suggestive of friendship. This is yet another symbol rendered sacred amongst the Native Americans. As the practical function of a fence is to provide safety and security it took on the symbolic meaning of protection. The symbol of the fence was often painted outside the residences of the Native Americans in order to seek protection. The fence was also taken as a symbol of preserving good luck.